Refuge for Masterminds is the latest installment of the School for Unusual Girls series and the best one yet. 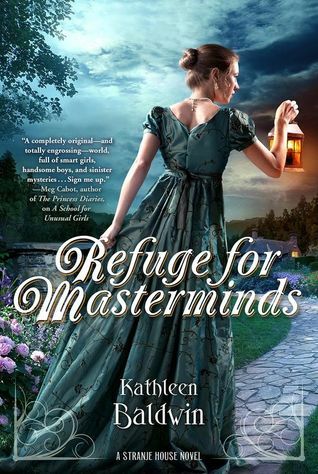 The hallmark of this series is that each book has a different POV- there are five girls training to be spies in Regency England- and this time the focus is on Jane. Each girl has a unique skill and Jane's strength is her ability to see several steps ahead in any situation- hence the mastermind of the title. Of the five she also seems to be the one that Emma Stranje, the headmistress, is grooming to succeed her someday. Jane has secrets from her past (what good heroine doesn't?) but her secret is terrifying because it may affect her entire future. Nevertheless she is committed to the school and the other girls, and her talent for seeing the possibilities of future action are indispensable. The story continues here shortly after the events of the second book, with Napoleon threatening England and their nemesis, Lady Daneska, pulling the strings. Daneska is a fabulous villain because she is a former student of Miss Stranje and she knows how the school operates. In the last book she came dangerously close to infiltrating the school and achieving her objective. Here the intrigue intensifies as the action shifts to London and the social scene. All the supporting players are here, including Georgie (one of my favorites) and Alexander Sinclair, the brash America inventor who has stolen Jane's heart. Jane is no wilting flower though, she's sharp tongued and tough and I loved reading her perspective. As much as I liked Georgie's POV in the first book, I think this one is my favorite. The series seems to have hit a rhythm now and I'm left wondering who will pick up the narrative next- Sera or Maya? Both have intriguing abilities and would be fascinating to read about- but here the focus is squarely on Jane. I liked the relationship between Jane and Sinclair a lot. There's just a whiff of scandal to it as they tiptoe around each other and their feelings- and again Jane's secret poses a huge hurdle to their possible happiness. I liked how this was handled, there's not a love triangle but there is another nobleman who has a past with Jane, and it didn't go how I expected. I always like it when someone you think you're going to hate earns your grudging respect. And I couldn't review this book without mentioning the Patronesses- three high ladies of society who fan themselves and preen but are tough as nails and not above packing a pistol or dagger in their reticule as need arises. They steal pretty much every scene they're in. I noted a sequence on board a ship where I could almost smell the tar and feel the rocking of the boat, where a guttering oil lamp illuminates a shadowy cargo hold. I felt right there with her as she went through the ordeals and triumphs of her mission. This series keeps getting better and better and the author continues to show a fascinating alternative history where small changes in events could lead to vastly different outcomes. I am loving this series and the only problem I had with it was when it ended. I'm glad to hear this is a good series, and it's cool that each book has a new perspective. Jane sounds great! I love the perspectives, and it is really good! Oh excellent! I'm so glad to hear you enjoyed this one also. I need to try this series! I absolutely LOVE seeing authors develop just as their characters do! And when they can put you right THERE in the moment - the writing is so good you even know how it SMELLS. This was a solid third installment. And yes you should definitely try it! What a pretty cover! This series is new to me. I need to look up book one and check it out more. It sounds like something I would love and I love how you described the scene that felt like you were actually there, totally a sign of a great writer. I highly recommend it and I agree- she has a way of drawing you into certain scenes. Sounds like I need this in my life! I'm obsessed with Regency England right now! Haven't read any of these. Looks like I will have more for my summer read list! It's a great Regency take, a little alternate history- and lots of fun! I read a few of Gail Carriger's Finishing School series and it sounds similar but this one seems darker - which I enjoy. It is really good. And it probably is a bit similar to Carriger's- I haven't read those but this might be a little darker, not entirely sure. I'm enjoying it, all three have been great! I don't think I have seen this series. It sounds wonderful, and I like the idea of a different narrator for each book. I am going to look it up. I like that too- each book having a different POV. The girls are all fascinating in their own right. I hope you get a chance to try it- great stuff. I read the first book in the series, but never continued. I'm not sure why, as I did enjoy it. I am glad to see the series doesn't lose steam. I'll have to pick it up again. I liked the first one a lot- it's my favorite cover and I really liked the setup. But the series keeps getting better and better! I like a series that features different characters in each book. And I also like a strong female character. Great cover for this one too. I also like the different POV's- they're different enough but it feels consistent. It's interesting to read about a supporting player and then get their POV later. This sounds absolutely amazing! I love that there's a different narrator for each book and just the concept in general. The fact that it pulled you in so completely is definitely a good sign as well. I absolutely need to check out this series; I LOVE books set in Regency England! I love the sound of the premise, too, with the girls training to be spies! Ooooh I am so glad that I didn't give my copy of the first book away! I was waffling about whether it was a "me" series, but I really think it would be. Because history is fun, alternate history is even more fun, and I love that the characters are so great! I love that each book has a different character focus too, I think it's great that way because you get to know them all. 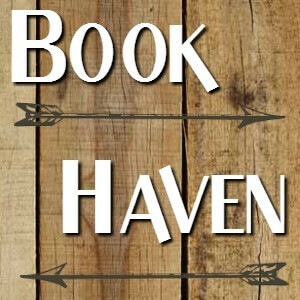 Great review, I am definitely going to need to read the first book now! I can feel a start-those-series-you-have-the-first-book-of month coming soon, and this will definitely be on this list. Great review! Great! I hope you get a chance, it's a fun series. I hope you give it a try. School for Unusual Girls is the first one and I highly recommend! It's a YA historical and it's really good. School for Unusual Girls is the first book. And it's got 5 strong heroines I do think though that the covers (especially for two and three) don't really accurately convey the feel of the books. I've only read the first book of this series but you're making me super excited to continue it!! All the books are good but I liked this one a lot! That's great that the serious keeps getting better! And this one sounds like a great character. Plus scandal and romance even! I've also had those characters who make a terrible first impression but then win me over. That's always fun since it takes you by surprise. It really does! This one's a toss up for me between it and the first one, as to which is my fave. And the alternate history is really interesting. I only read the first paragraph of your review to avoid spoiling myself, but I can tell you loved this one! You'll be happy to know that I bought the first two books on your recommendation and I'm absolutely DYING to read them - something tells me they're going to be faves. I love that this is an alternate POV series, too! Sounds like a fun series, and the cover is very atmospheric!